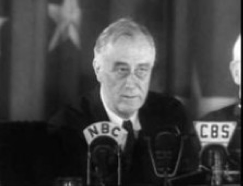 He arrived at the White House just one year before the U.S. would wage war on Japan and officially enter World War Two. 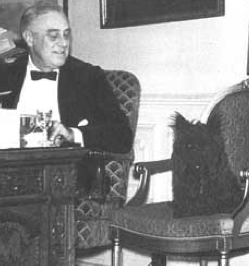 With a master who was under the scrutiny of the entire world, Fala had his job cut out for him as companion, confident, and best friend to the president. 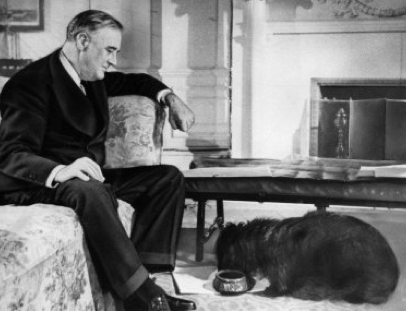 Born April 7, 1940, Fala was President Franklin Delano Roosevelt’s favorite dog. 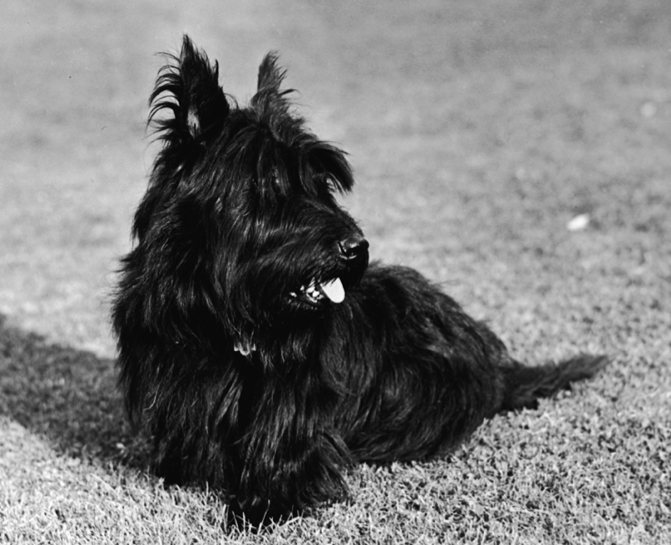 Given to the president by a friend and cousin, the little black Scottish Terrier was originally named Big Boy. 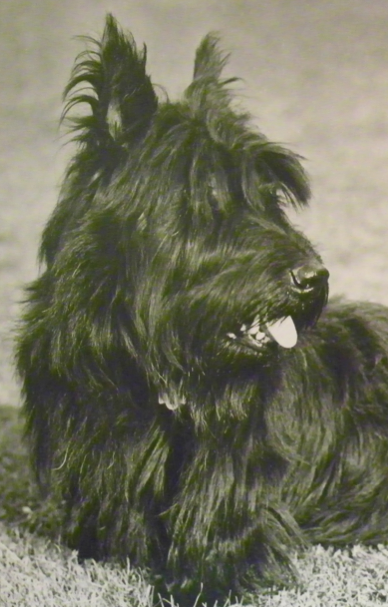 Roosevelt renamed him Murray the Outlaw of Falahill after his famous 15th century Scottish ancestor, John Murray, but his name was quickly shortened to Fala. 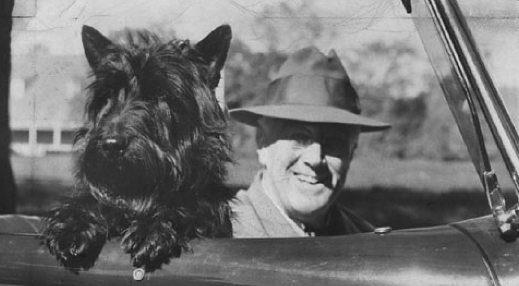 Fala immediately became the constant companion of the president, traveling with him around the world via chauffeured car, presidential airplane, custom-made train car, and ship. But his presence often alerted others where the president was traveling since he would require regular walking on a trip. Because of this, he was given the code name, “The Informer” by the Secret Service. 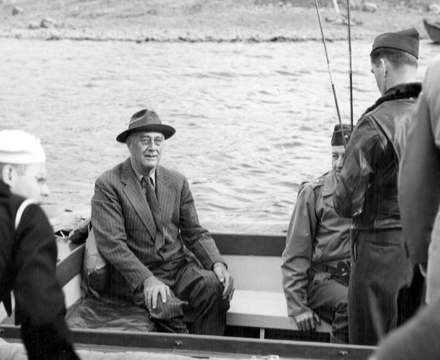 In fact, his inclusion to the president’s travels sparked a trumped up controversy in 1944 when a Republican in the House of Representatives alleged that FDR had accidently left the dog on Adak Island in the Aleutians during a trip. 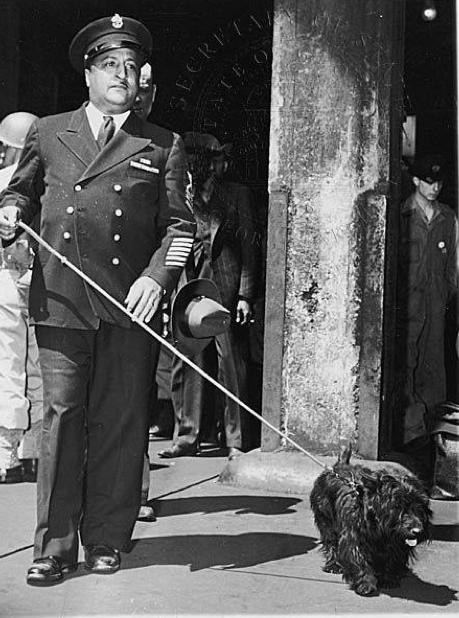 The representative claimed that the president sent a destroyer back to get Fala. 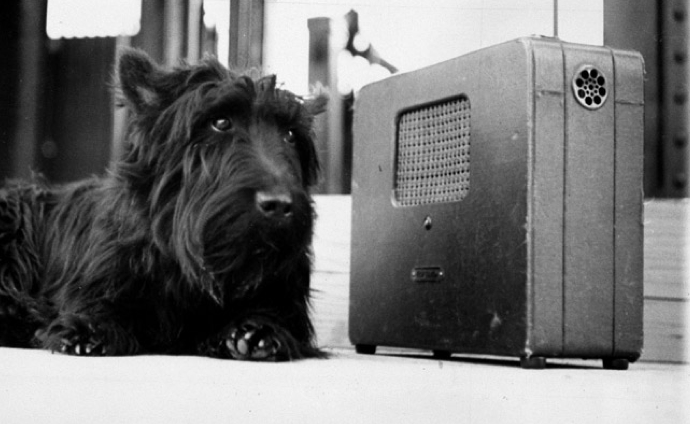 The public loved stories about the little dog and Fala had his share of the limelight. He attended a conference in Quebec where the media held a photo op for him. 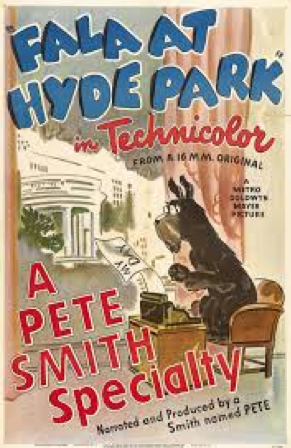 In 1942, a movie was made about him, and a book was written about his life at the White House called The True Story of Fala. He was also the star of several cartoons. 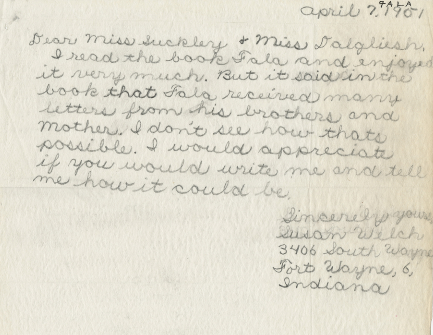 The little dog received so much mail that he required a secretary to respond to all of his correspondence. 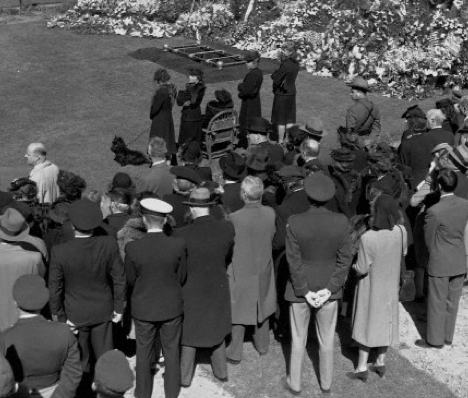 When FDR died in April 1945, Fala was devastated. His life-long companion was gone. 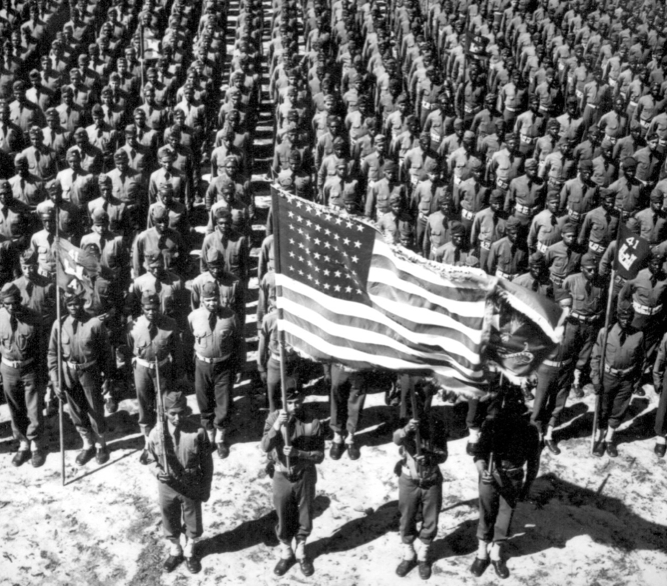 He accompanied the president on the presidential funeral train from Warm Springs, New York back to Washington D.C. and then attended the president's funeral. 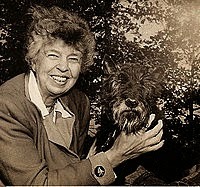 Fala lived the rest of his life with Eleanor Roosevelt in her home at Val-Kill. Although well-loved and with plenty of room to play, Fala never seemed to get over the loss of his best friend. 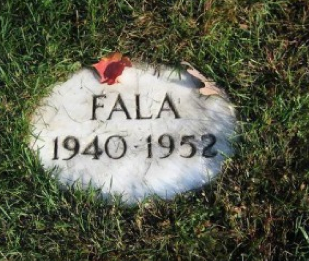 Fala died on April 5, 1952, just two days short of his 12th birthday. 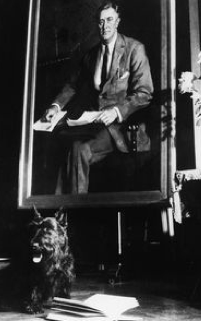 His death made national media and he was buried in the rose garden at Hyde Park, close to his beloved master. 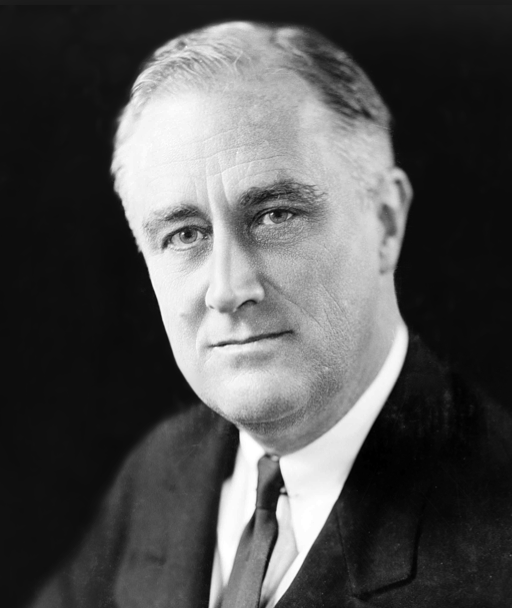 In 1997, the Franklin D. Roosevelt Memorial was dedicated in Washington D.C. 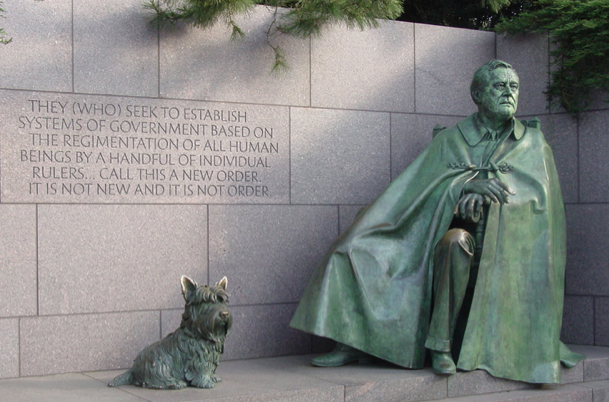 There, a life-sized statue of FDR sits draped in a cape with Fala ever watchful at his feet. 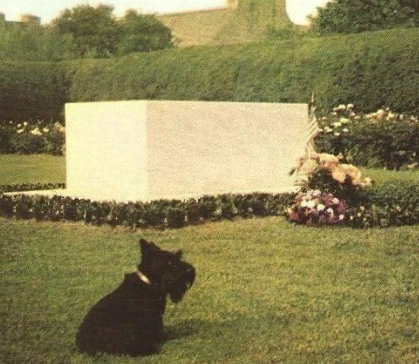 Fala is the only pet to ever be represented in a presidential memorial - That is how inseparable the two are remembered. I, too, am a visitor of cemeteries and an avid amateur photographer. I just discovered your blog when researching ceramic photos because I discovered many of them on my visit to a cemetery this week that is populated by thousands of immigrants to the Pittsburgh area that came here in the late 1800s. I was finding them on Italian, Croatian, Greek, etc. stones and after reading your blog, now I understand. I was surprised to find they were so popular in Eastern European countries. I am looking forward to reading all of your entries. I'm sure they will greatly enrich my cemetery explorations and photo captions. Thank you for reading! I love knowing that something I've written helped make sense of the cemetery!